At the beginning of April, Research Councils UK, a conduit through which the government transmits taxpayers’ money to academic researchers, changed the rules on how the results of studies it pays for are made public. From now on they will have to be published in journals that make them available free—preferably immediately, but certainly within a year. In February the White House Office of Science and Technology Policy told federal agencies to make similar plans. A week before that, a bill which would require free access to government-financed research after six months had begun to wend its way through Congress. The European Union is moving in the same direction. So are charities. And SCOAP3, a consortium of particle-physics laboratories, libraries and funding agencies, is pressing all 12 of the field’s leading journals to make the 7,000 articles they publish each year free to read. For scientific publishers, it seems, the party may soon be over. It has, they would have to admit, been a good bash. The current enterprise—selling the results of other people’s work, submitted free of charge and vetted for nothing by third parties in a process called peer review, has been immensely profitable. Elsevier, a Dutch firm that is the world’s biggest journal publisher, had a margin last year of 38% on revenues of £2.1 billion ($3.2 billion). Springer, a German firm that is the second-biggest journal publisher, made 36% on sales of €875m ($1.1 billion) in 2011 (the most recent year for which figures are available). Such firms are now, though, faced with competitors set up explicitly to cover only their costs. Some rely on charity, but many have a proper business model: academics pay a fee to be published. So, on the principle of “if you can’t beat ’em, join ’em”, commercial publishers, too, are setting up open-access subsidiaries. The biggest is BioMed Central, part of Springer. It was founded in 2000 and in February it published its 150,000th paper and also launched its 250th periodical, catchily entitled theJournal of Venomous Animals and Toxins Including Tropical Diseases. Days later Nature Publishing Group (NPG), which owns Nature and 81 other journals, and which itself belongs to the Georg von Holtzbrinck Publishing Group, another German firm, bought a majority stake in Frontiers, a Swiss open-access platform with 30 titles in 14 scientific fields. In combination, NPG and Frontiers publish 46 open-access journals, and 7,300 free papers a year. In the past year Elsevier has more than doubled the number of open-access journals it publishes, to 39. And even in those that usually charge readers (such as Cell and theLancet), paying a publication fee makes a paper available free immediately. Outsell, a Californian consultancy, estimates that open-access journals generated $172m in 2012. That was just 2.8% of the total revenue journals brought their publishers (some $6 billion a year), but it was up by 34% from 2011 and is expected to reach $336m in 2015. The number of open-access papers is forecast to grow from 194,000 (out of a total of 1.7m publications) to 352,000 in the same period. Open-access publishers are also looking at new ways of doing business. Frontiers, for example, does not try to judge a paper's significance during peer review, only its accuracy—an approach also adopted by the Public Library of Science (PLoS), a non-commercial organisation based in San Francisco that was one of the pioneers of open-access publishing. It thus accepts 80-90% of submissions. Instead, a Frontiers paper’s merit is gauged after publication, using measures like the number of downloads. Frontiers also doubles as a social network for researchers to share news, job offers and information about conferences and events. This network currently has around 70,000 members. PeerJ, founded last year, makes an even more dramatic departure from tradition. Rather than being charged publication fees, authors pay a one-off membership fee, which ranges from $99 to $298, depending on how many papers they want to publish each year. All co-authors must be members. The firm also deals neatly with the question of peer review. Members must review at least one paper a year. Non-commercial open-access publishers, though, are fighting back. 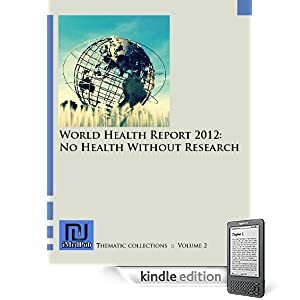 The Wellcome Trust (a British medical charity), the Max Planck Society (which runs a lot of German research institutes) and the Howard Hughes Medical Institute (an American charity) have set upeLife, a peer-reviewed journal that does not charge publication fees. And in January Jean-Pierre Demailly, of the University of Grenoble, in France, and a handful of fellow mathematicians launched the Episciences Project. This aims to show that researchers themselves can turn out refereed papers cheaply, bypassing traditional purveyors. Episciences will piggyback on ArXiv, an online repository beloved of physicists and mathematicians—who often post work there as “preprints” before submitting it to journals. ArXiv is hosted by Cornell University at a cost of $830,000 a year. Tacking on an “epijournal”, so that refereed papers would sit alongside the preprints, should not add much to that. Matthew Cockerill, BioMed Central’s boss, though, points out that Episciences’s publishing model may have its drawbacks. Academics who bypass publishers become publishers themselves. And that will be harder to do as the operation grows. 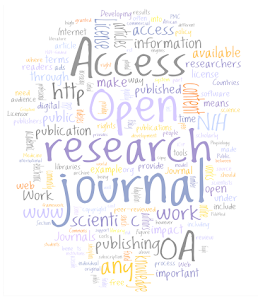 Other aspects of open-access publishing also draw polite scepticism from incumbents. The promiscuous approach of Frontiers and PLoS, for example, is at odds with the rejection by publications like Nature and its American counterpart, Science, of over 90% of submitted manuscripts. It is this selectivity that gives these journals their prestige. At the moment, publication in Nature, Science and a handful of similar journals is like a sprinkling of fairy dust. Everyone knows how tough it is to get in, so papers that do so are assumed to be special. This will be hard for open-access publications to emulate. The rejected papers all have to be scrutinised, though—and even though peer review is free, this involves staff time and other costs. According to Nature, the cost per published paper is $40,000. If Nature is to stay in business in anything like its current form, someone will have to pay that. Whether anyone will want to, remains to be seen. Budgets are tight, and pressure for access to be open is growing. Intangible blessings of the sort bestowed by prestigious journals can vanish rapidly. Where the game will end is anybody’s guess.